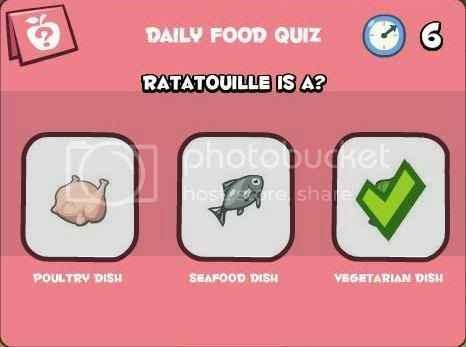 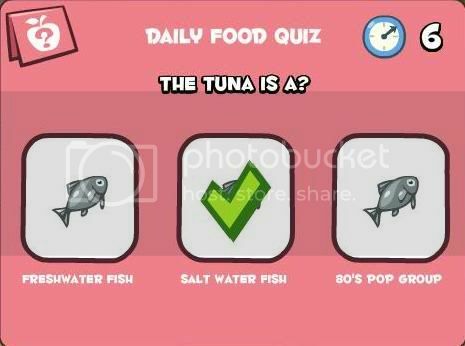 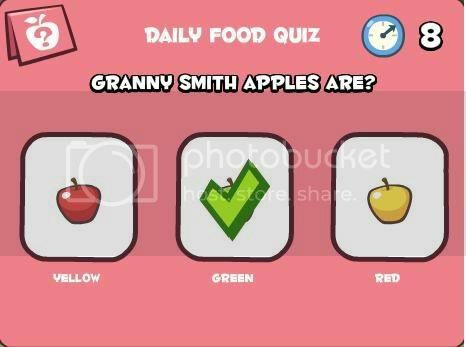 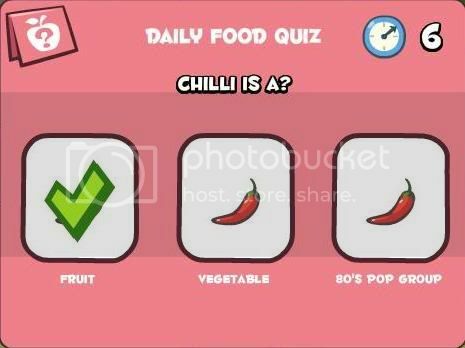 The list below contain the answers for the food quiz you get everyday. 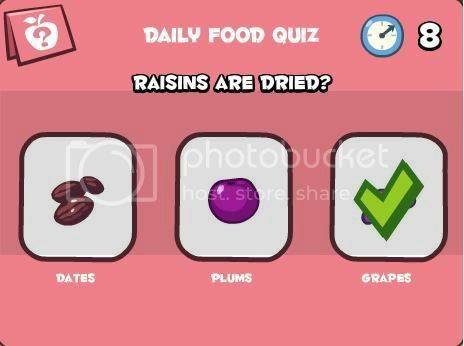 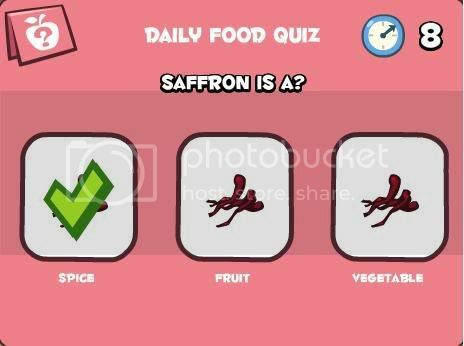 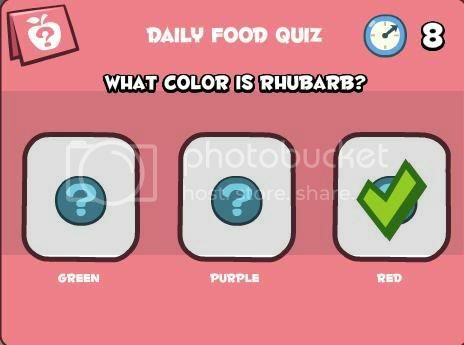 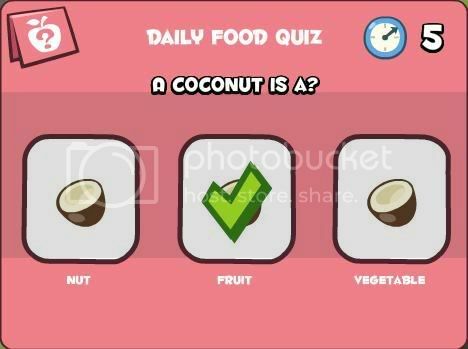 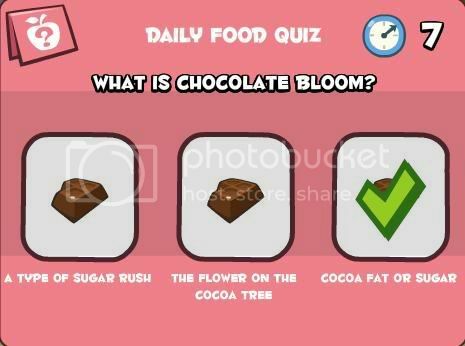 It is important to get it correct as food quizzes are one source of obtaining ingredients. 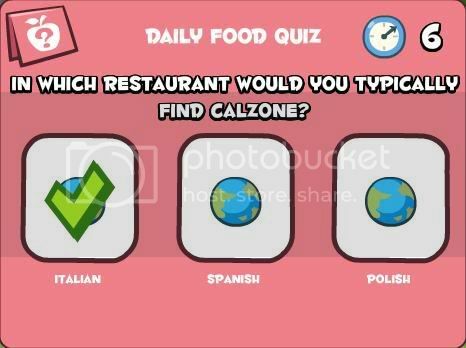 In which restaurant would you typically find Calzone? 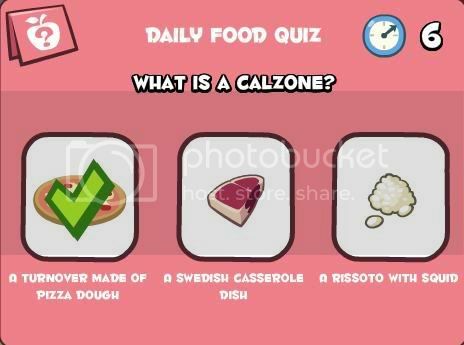 Venison is the meat from what animal? Wasabi is made from a type of Japanese? 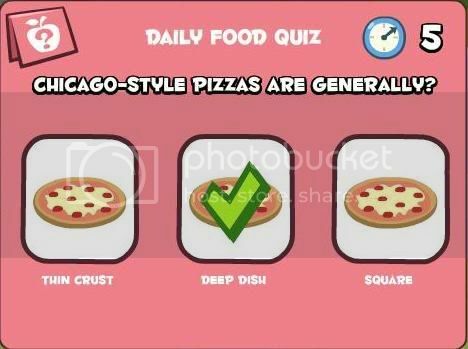 Dulce De Leche is prepared by heating? 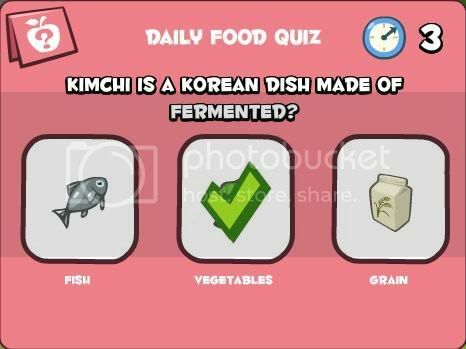 Kimchi is a Korean dish made of fermented? 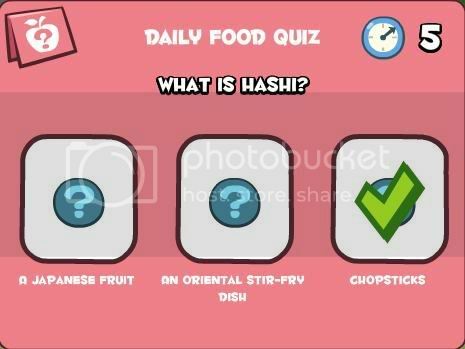 Dim Sum originaled from which country? 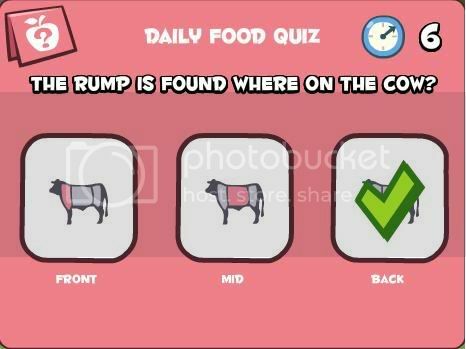 The rump is found where on the cow? 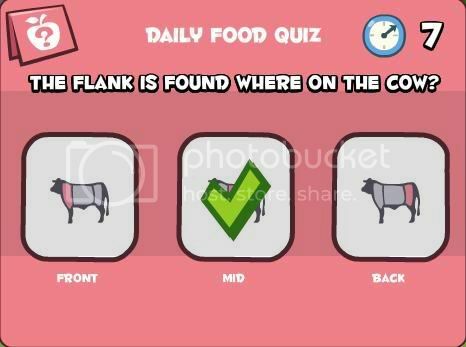 The flank is found where on the cow? 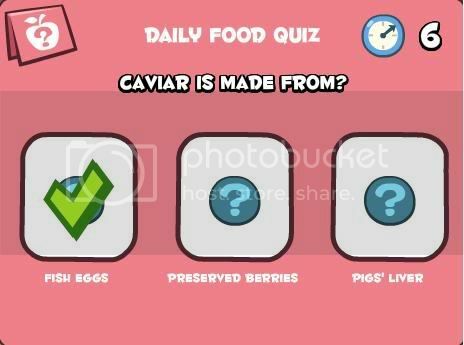 To garnish a dish, means to? 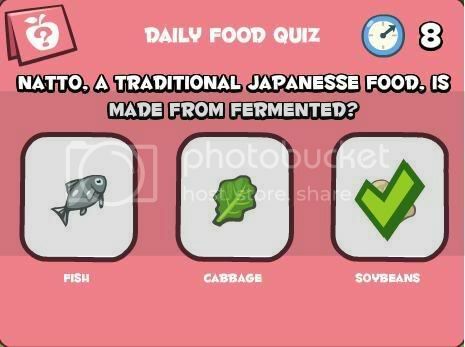 Natto, a traditional Japanese food, is made from fermented? 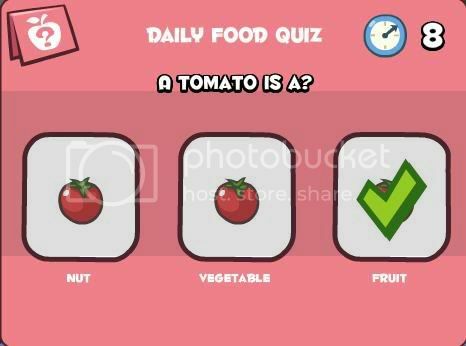 To refresh a vegetable, means to? 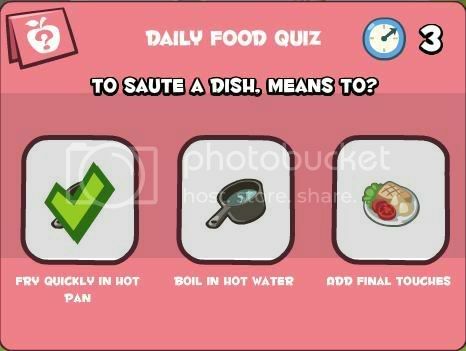 To saute a dish, means to? 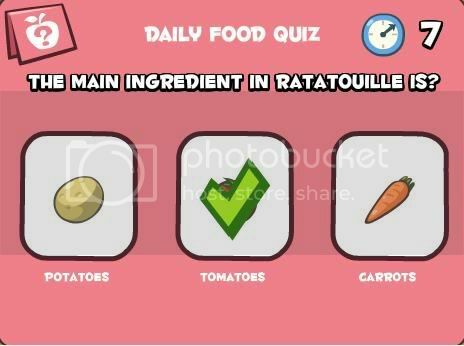 Bump: The main ingredient in ratatouille is? 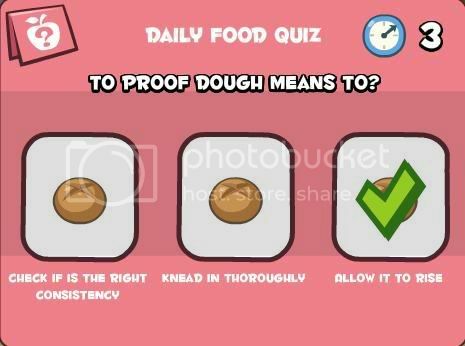 To proof dough means to? 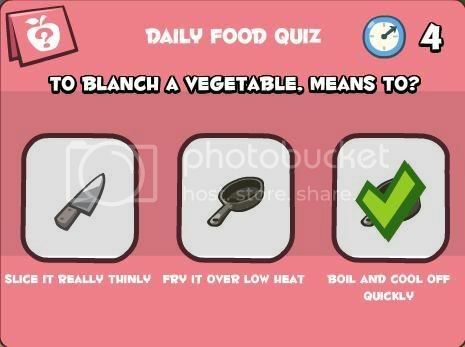 To blanch a vegetable, means to? 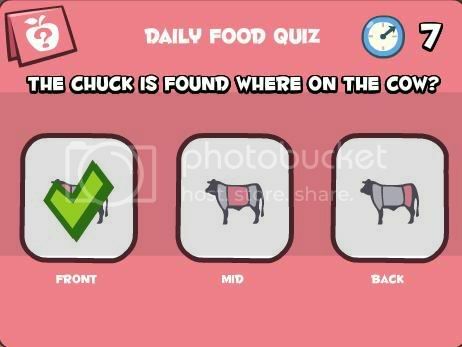 The chuck is found where on the cow? 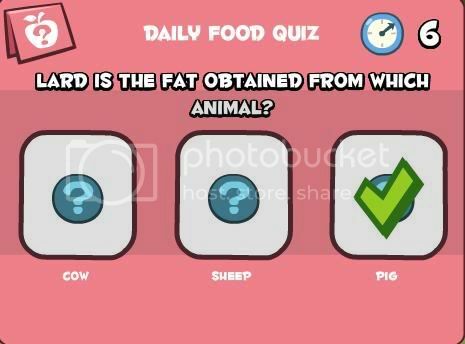 Lard is the fat obtained from which animal? 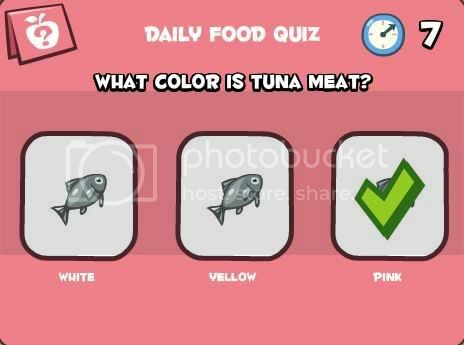 What color is tuna meat? What is the main ingredient of tofu? 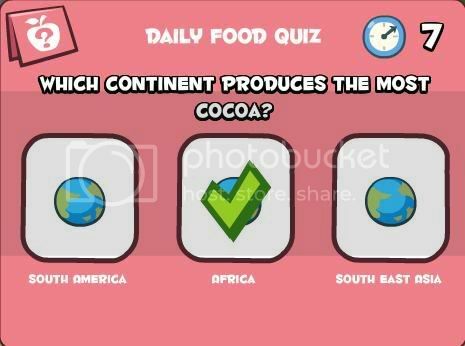 Which continent produces the most cocoa? 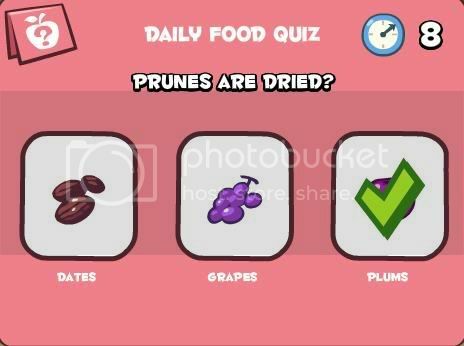 What is houmous made from? 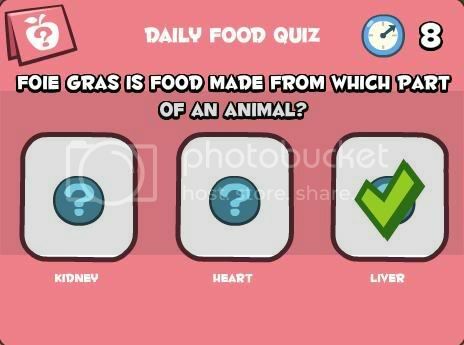 Foie gras is food made from which part of an animal? 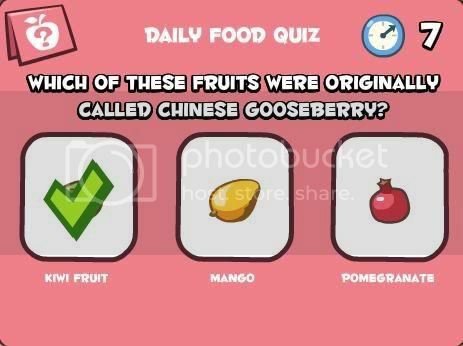 Which of these fruits were originally called Chinese gooseberry? 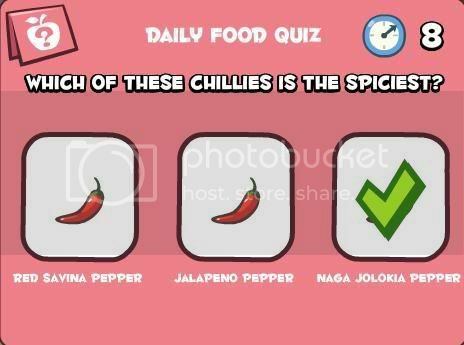 Which of these chillies is the spiciest? 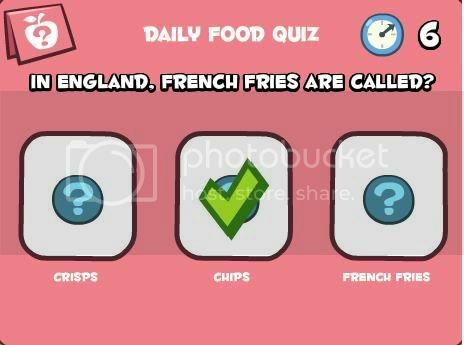 In England, french fries are called? 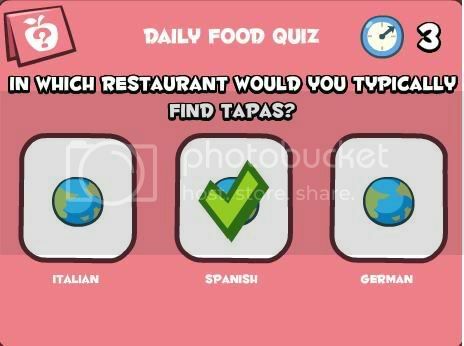 In which restaurant would you typically find tapas? 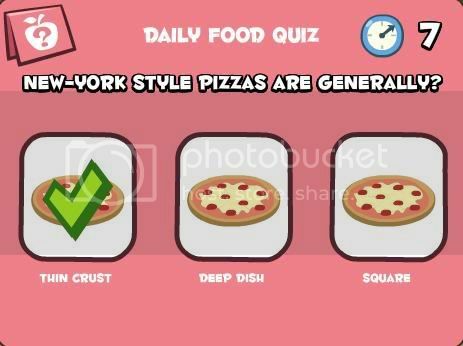 New-York style pizzas are generally? 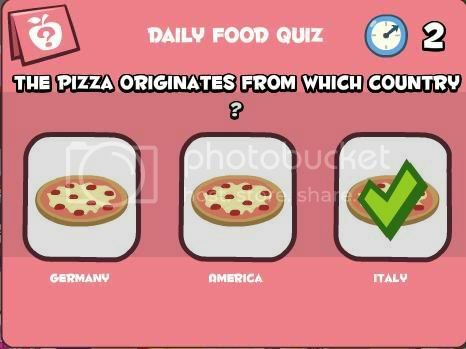 The pizza originates from which country? 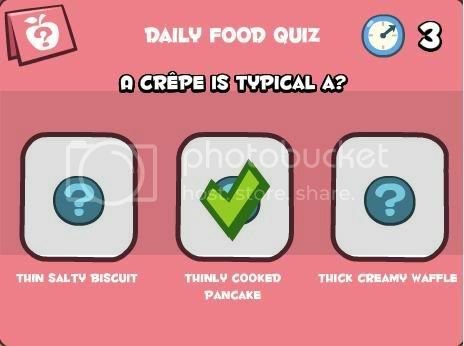 A crêpe(crepe) is typically a? 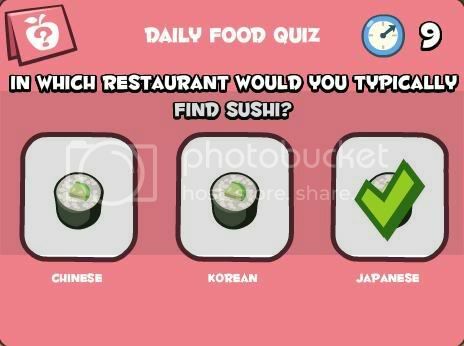 In which restaurant would you typically find sushi? The main ingredient in guacamole is?